March | 2016 | JUDDER! 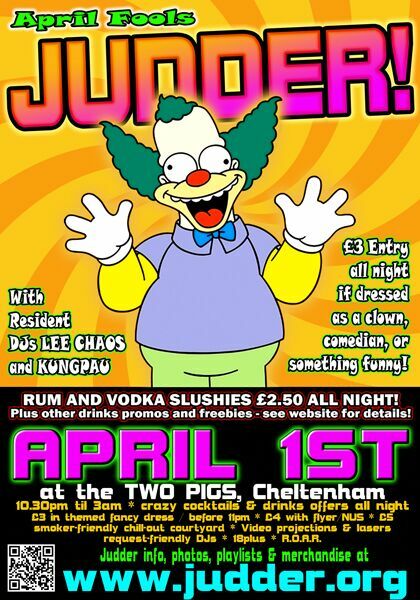 Our next Judder happens to fall on 1st April, so of course it will be our APRIL FOOLS JUDDER – come dressed as a clown, comedian or something funny and get discount entry of £3 all night! Plus we will have the slushie machine going full pelt and alco-slushies for £2.50 all night. And since our retro games consoles were popular last time, we’ll be making those a regular feature at Judder, so come on down for a clubbing experience like no other!